Earlier this month I gave a couple of webinars on encouraging user adoption of your social intranet. As long as we’ve been building intranet software and as long as we’ve been going to conferences, the theme of adoption is always present. And for good reason. This blog post covers some of the ideas about adoption, what it is, why it matters, and how to encourage it. This post takes a more theoretical approach (surprise, surprise) to thinking about adoption than others and by the end of reading it, I hope you find it useful in framing your own organization’s adoption challenges and seeing new ways of moving beyond your current state. Warning this post is about 4700 words long, so you might want to set aside some time to read it. But before we do all of that, I’d like you to do something for me: BE SPONTANEOUS! That’s right, I’d like you to be spontaneous. I’ll give you a few seconds. Okay, are you spontaneous yet? How’s that spontaneity doing? Is it overflowing? You can tweet me @gordonr if you’ve come up with something really good. Well, I hope that was as awkward for you as it was for me. And there’s a reason for my awkwardness inducing exercise. And it has a lot to do with user adoption of the social intranet. I believe that asking people to be spontaneous is what a lot of organizations are trying to do when they seek to “drive adoption” to their intranet. “Driving adoption”, by the way, is one of my least favourite expressions. It sounds like driving cattle. 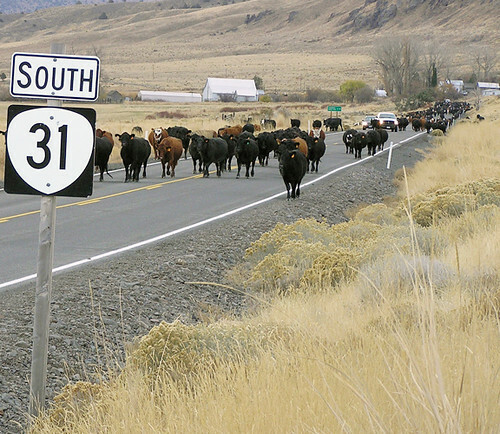 Or herding cattle. And of course, for those of you who manage social intranets, you know it’s less like herding cattle and more like this: herding cats. In asking people to do this, we take away some of the conditions (or most of the conditions in the case of spontaneity) for it to happen. It’s called a spontaneity paradox. By asking you to be spontaneous, I made it impossible for you to be spontaneous, as that’s exactly the opposite of the definition of what spontaneity is. I’d like you to keep that in mind as you read this post; I’m hoping we can understand some different ways of thinking about user adoption that don’t put ourselves and our social intranet users into the double bind of having to share knowledge, be social, and spontaneous because they’ve been asked to. So first things first. What do we mean when we speak about adoption anyhow? Generally when we’re speaking about user adoption of the social intranet we’re talking about some kind of measure of the total number of users of our social intranet often represented as a percentage of the total number of possible users in our organization. And we all love these graphs! But there’s another part to this definition that’s required. And that’s usage itself. What exactly are we trying to get them to adopt? How do we define usage? Now we believe this is dependent upon what your intranet does. And we’ve seen many of our client’s intranets, from outdoor equipment cooperatives to online matchmaking companies to design firms to law firms to 100 year old lime-mining firms and well, and their intranets are all quite different. Usage is contextual – it depends entirely on your organization’s goals and the intranet’s purpose. For those of you who know us well, you’ve probably heard us discuss James Robertson‘s 5 purposes of the intranet (here’s a presentation that outlines 4 intranet purposes: content, communication, collaboration, and activity) and at KM World in Washington DC in 2010 James snuck in a 5th purpose: culture (the cumulative result of the other purposes, IMHO). While everyone’s intranet is different, these are some great foundational concepts to start with. As we go through some of the possible types of things your users could be doing on your intranet, you can think about which purpose these align with. There are many behaviours we want to encourage on the intranet. And while similar, they will differ from company to company depending on what your priority is. We think the lens of Robertson’s purpose of content, communication, collaboration (both project & community), activity, and the resulting culture is a great starting point. Now we have a good handle on adoption (a measure of usage over time) and some notions of what usage means in your organization. It seems fairly easy to understand: we just need to know how to increase that graph upwards and to the right. And this might not sound all that different than measuring and understanding adoption for any other IT-powered system that we’ve deployed in the past. So is a social intranet really that different than any other IT system? Well, we believe social intranets are different in that they represent a system of engagement, not simply a system of record. These terms were written about by Geoffrey Moore (author of Crossing the Chasm and many other books about technology adoption) in a great AIIM sponsored whitepaper that was released a couple of years ago. This table from Moore’s white paper shows some of the differences between the two types of systems. In a system of record, you’re transacting with records (data). 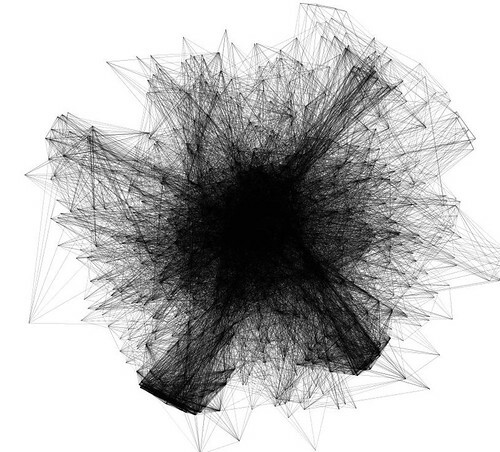 In a system of engagement, you’re interacting with people.Therefore, there’s a social dynamic. That’s why we call it a social intranet after all. Not all technologies have as strong a social dynamic and it’s that social dynamic that leads to the ongoing discussion and posts like this about user adoption. Here’s another great quote that highlights a related thought from Michael Krigsman who in 2009 wrote a blog post on ZDNet about user adoption and Enterprise 2.0 systems. Walk away? Yes, that’s right. He said “walk away.” Your employees will walk away if they do not experience sufficient value. Because if it was mandatory after all, this would be the world’s most boring blog post. I mean really, it wouldn’t make any sense to talk about user adoption if we were talking about an intranet that everyone was forced to use. Usage would be guaranteed. End of story. But certain beneficial behaviours that we hope to encourage and spread throughout the organization are not mandatory, can’t be proceduralized, and aren’t guaranteed through the installation of a piece of software, even ours. In fact, they’re totally the opposite: they are voluntary, spontaneous, and when they happen, they bring a serendipitous benefit. We can’t predict what will happen ahead of time, but we’ll recognize the good stuff when it happens. It’s like the infamous children’s birthday party that Dave Snowden talks about in this great video. Which makes it really tricky for you, the intranet manager or communications manager or knowledge manager to “just make it happen” – or whatever the instruction your boss or the CIO has given you with this nifty social intranet technology. So what’s the benefit of all this spontaneous, unpredictable and voluntary adoption anyhow? We’re taking for granted it’s good, but really, what’s the business case? This is one of the most important points to consider. We believe that understanding the value of your intranet is directly related to how you frame the problem of your intranet in the first place. And we believe that your social intranet is a manifestation of your company’s communication and collaboration network. It’s a living, breathing system that’s complex, that learns, and is made up of the dynamic relationship between your employees and their interactions. We looked into this very question back in 2009 and Bryan Robertson wrote a great blog post. The punch-line: while adoption of technology through a network might be measured in linear terms (x people / y months) like our adoption graph at the beginning of this post, the value of the interactions that networks produces, grows at exponential, non-linear rates. If you add 10 people, the benefit isn’t just last months’ value plus 10. It might be something like X-squared 100 or 2 to the N, where N is the total number of people in your network. Bryan’s post outlines some of the various non-linear models that get applied to value-ing network interactions like Zipf’s Law, Reed’s Law and others. The value of a network equals the net value added to each user’s transactions conducted through that network, valued from the perspective of each user, and summed for all. So really simplified, increased users in your system is okay, but increased usage is better. And usage, as we already talked about, will have different value both individually for your users and for the organization as a whole. I recommend you go back and look at Bryan’s post. There’s some really important ideas in there. So enough with the theory, how do we make adoption happen? When we listen to our clients talk about getting their employees motivated to use the intranet there seems to be a variation of the 2 levers right? Carrot: Go there because we’ll give you something nice and fun! Stick: Go there because it’s mandatory and if you don’t you’re fired! But actually, the carrot and the stick are really just the same thing. They are an appeal to an extrinsic model of motivation: Do this and you’ll get that (or avoid getting that). But carrots and sticks don’t address the other type of motivation: intrinsic motivation. Intrinsic motivation refers to motivation that is driven by an interest or enjoyment in the task itself, and exists within the individual rather than relying on any external pressure. Intrinsic motivation is based on taking pleasure in an activity rather working towards an external reward. And what’s interesting about the two types is that extrinsic motivation and intrinsic motivation both have their place in the world, one isn’t right and the other is wrong – you just need to know when to use them. Incentives (or appeals to extrinsic motivation) can be really effective. If you’re incentivizing the right task. In the first chapter of the book, Pink talks about two types of tasks & activities and how those relate to the two models of motivation. They are called algorithmic tasks and heuristic tasks. “An algorithmic task is one in which you follow a set of established instructions down a single pathway to one conclusion. A heuristic task is the opposite. Precisely because no algorithm exists for it, you have to experiment with possibilities & devise a novel solution. So when is the carrot/stick approach to social intranet adoption okay? Well, following Dan Pink’s lead, I’d say when we’re talking about algorithmic tasks and things where a mandatory task dynamic is in place, then its okay. This falls into Robertson’s “Activity” purpose – where mandatory, routine interactions with systems of record are involved: time sheets, payroll, some HRIS, CRM tools, or other “data collection and reporting systems” etc. Some basic “Content” tasks fall into this category as well too, where consumption of static information or policy material is the goal. IDEO never really launched their intranet in the way that many have a big launch party. Instead they built it up, added some great content to it and then sent out an email to staff about a particular piece of content: their compensation policy that had just changed. The result: a ton of staff went to take a look at it. Everyone was interested in the compensation policy. When the users got there, they looked around the intranet and saw all of the other tasty carrot-like content that had been put on the intranet and they received some significant lift in the overall adoption and usage of their intranet. MEC put their shift worker schedules on the intranet. This is the mandatory piece of information you need to know as a retail worker at the coop – when am I working next week? They also took away the other options for getting this information; the intranet was the only place, you had to go there. Sounds great for getting people to use the intranet, right? Put one of the most important bits of content out there. Great, but problem: they did it before people could get access from home. That’s since been changed, but it’s a reminder to you before you start making mandatory bits of information live on your intranet: Mandatory task + limited or no access for the employee looking for the information = high degree of frustration. Great idea, but some challenges on the implementation side of things. Of course MEC learned from that and Mondo, their intranet, is now available from home and the adoption chart which we saw at the beginning is remarkable – does your organization have 90% weekly usage? When is it not okay to use carrots & sticks? If we go back to the two types of tasks, it’s probably not good to use carrots and sticks for all of the stuff that makes your intranet social. Carrots and sticks may not work well when you’re dealing with heuristic tasks – those things that involve uncertainty, creativity, novelty and require dialogue, knowledge sharing, and exploration and experimentation with others. Again, they will walk away because usage is voluntary. If they don’t want to, they don’t have to. We hope they will, but we simply can’t make them. We sincerely hope that you’re benefitting from using your intranet for more than simply mandatory tasks. We do hope that you’re deriving value from staff communicating, sharing knowledge, and collaborating freely and openly. And that requires volunteering – or being spontaneous. Because, and I’ll say it again, it’s those spontaneous interactions that provide the non-linear growth of the value of your intranet. Thats where the “network effects” truly are. It’s why you are running a social intranet and not just a classic few-to-many content management system. So what’s the conclusion? Is my iPad give-away a dumb idea? Well, I’m going to suggest that while you may have wanted to “drive adoption” what you are actually trying to do is stimulate the diffusion of innovation – that innovation being your social intranet and all of its associated interactions inside your organization. So let’s rephrase the question: how do I stimulate the diffusion of innovation inside my organization? Perhaps that’s what the blog post and webinars should have been more accurately titled, because that’s what you’re trying to do. 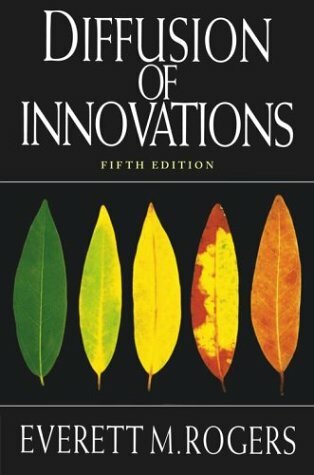 The study of how technological innovation spreads in organizations owes a lot to Everett Rogers and his work in the 1960’s and his book Diffusion of Innovations. It’s a big book, it’s apparently quite boring, I’ve picked it up and put it down a few times and haven’t read the whole thing by a long shot. It’s a big read. But let’s look at a tasty bit from the book that I hope you can learn from: the 5 factors or characteristics of an innovation Rogers identified that can influence an individual’s decision to adopt or reject that innovation. Relative Advantage How improved an innovation is over the previous generation. Compatibility The level of compatibility that an innovation has to be assimilated into an individual’s life. Complexity or Simplicity If the innovation is too difficult to use an individual will not likely adopt it. Trialability How easily an innovation may be experimented with as it is being adopted. If a user has a hard time using and trying an innovation this individual will be less likely to adopt it. Observability The extent that an innovation is visible to others. An innovation that is more visible will drive communication among the individual’s peers and personal networks and will in turn create more positive or negative reactions. How improved is the innovation over the previous generation/competition? What can your social intranet do that nothing else can? What are you doing to accentuate that advantage? To market the intranet? To demonstrate its value about all of its great capabilities? Another strategy: take the old things away. Remove choice. That’s what MEC did with their retail worker schedules. How does the innovation get assimilated into the individuals life? Do you know how your staff actually work? How work gets done? You’re going to need to become a good observational researcher here to understand the real world of work and how intrusive (or not) the use of the intranet is in your workers lives. Working in the flow: that’s what this is about. Once you’ve figured that out, align the content, communication, collaboration, and activity functions with people’s job functions. Make it easy for them to adopt and assimilate. Be a technology steward – help them adopt and accept it, through personal assistance and help. This is more than just training; this is an act of collaboration and problem solving itself. An example: we spent time with one organization where face to face meetings were super, super important; instead of trying to get rid of them entirely (impossible) we asked ourselves, “how can we use the intranet to help them make face to face meetings better?” Ideas that came up included creating a section about how to run an effective meeting, building better meeting scheduling / room booking tools, and assembling meeting agenda templates. There are lots of ways to make your intranet compatible with the way things get done in your organization and provide value. How easy or difficult is it to use? Well, we’re trying (and have always tried) to create easy to use software and we’ll continue to try and release new versions with usability improvements. In the meantime, you should be focusing on designing easily readable content, learning about how writing for the web is different than writing for print. You can create small group spaces that work – template spaces for project collaboration. You can usability test your IA – we are firm believers that your intranet’s foundation still lies in highly relevant, findable content. And of course, continually measure, learn, and revise your content, and structure. Tend to the garden, weed it, prune it, and ensure that the value added is cumulative and not eroding the utility as the intranet grows. How easy is it to experiment with as you adopt it? We saw this early on with our very first client and many since. Making it safe, making it okay for people to kick the tires is crucial. Individual experimentation is important, as is small group and “social” experimentation. It’s not just about figuring out how to edit a page or tag something, it’s about becoming comfortable performing those acts in front of others in the organization, knowing that you have an audience on your intranet. Updating your profile page is a great example of a baby step – it’s your information after all and who better to edit it than you. Lurking is okay and a valid way to derive value to start; don’t force people to contribute if they don’t want to. And remember the notion of social comfort – a phrase we have Thomas Vander Wal to thank for. Other ideas: create personal sandbox sections under people’s profile pages to play around with or even a corporate sandbox section for groups to test posting or test blog. We have a great food blog on our intranet – it’s a lot lower risk posting there as a new employee than in other sections. It’s fun, non-mission critical, and safe. How visible is the usage to others? Who’s using it? What influence do they have? What’s really interesting about social intranets like ThoughtFarmer is that they are inherently observable through the activity stream, comments, the presence of profile data, and status updates. Everyone can generally see what everyone else is doing. So work the network: find influential people, try to get them working on it. This is where having a community manager is really useful; someone’s who’s job it is to keep up to date with the social dynamics. Pick high visibility, important organizational projects; try to support their usage through the intranet. Use the homepage to amplify the visibility of desired behaviour: provide kudos to staff, write articles about people doing innovative things in the organization (and especially those using the intranet to make it happen). Equally powerful: get your leadership to use it and appear active within the system. Nothing like a “nice job” comment from the CEO on your project page to provide you with a jolt of acknowledgement and validation of your work. Bottom line: experiment, see what works in your organization. Every organization is different, every culture is different. There is no one-size fits all for this. Hopefully Rogers’s 5 factors gives you a great starting point and one that is theoretically sound to boot. Last, but certainly not least, think about your users as customers and adopt a marketing approach. Put on your marketing hat, as uncomfortable as that hat might be for some of you. Every new customer needs to go through a lifecycle where they first become aware of the intranet, then you get them to visit that first time, next you get them to do something you want them to do, and then you keep them there over time as a repeat customer, hopefully one who becomes an intranet booster and helps you with your outreach efforts by becoming an advocate. 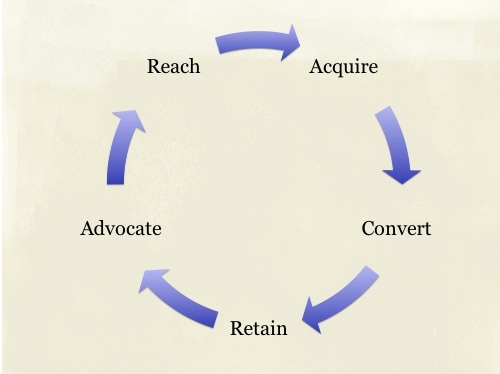 Reach, Acquire, Convert, Retain, Advocate: it’s a cycle. So your iPad idea might be a quick hit to boost your reach & acquisition, but don’t think if there’s no substance there it’s going to keep them converting and sticking around in the long run. It’s not uncommon to have a mixture of mandatory and voluntary task dynamics at play with your social intranet. Make sure you’re paying attention to what’s a mandatory task and what’s a voluntary task. For the mandatory ones, you are hopefully working with more algorithmic tasks – you can incent these and perhaps rely on good old fashioned carrot and sticks to get people onto the intranet. For the voluntary ones, you’re dealing with more heuristic tasks and you can’t “drive adoption” like you can drive cattle. You may not have the ability to incent people, they will have to be internally motivated. It will need to align with a higher sense of purpose and their whole reason for why they want to work in your organization. The voluntary tasks are where increased usage leads to increased value; and that value gained in the interactions amongst staff grows in a non-linear fashion. But the voluntary adoption is hardest because it is voluntary… each user will decide herself if the benefit is there. What kind of tasks am I trying to encourage? What motivation goes along with that? So your job as an intranet manager: it’s not driving adoption, it’s diffusing innovation throughout your organization; amplifying the good stuff. Work the network! Think about Rogers 5 factors: What are your Relative Advantage, Compatibility, Complexity/Simplicity, Trialability, Observability? Again these are great because they ask you to think about the technology through the eyes of your staff – and you will have different staff with different answers. There’s a call for creating personas for your intranet to understand those different types of users. And think about the intranet “customer” lifecycle model. How will you reach, acquire, convert, retain, and gain advocates? Remember that what’s going to get them to the intranet the first time (ahem, iPads) might not keep them there in the long run. How do you quantify your intranet’s adoption (usage/time as a % of total)? What kind of usage (think tasks, activities: verbs, not nouns) are you trying to gain? How does that usage align with 5 purposes (and more broadly speaking, your org’s strategy)? Which of your tasks are mandatory & algorithmic? What extrinsic rewards might apply? Which of your tasks are voluntary & heuristic? relative advantage; to be better than previous intranets & competing systems? compatibility; to work with the way people work? simplicity/complexity; to be easy to use? trialability; to be easy to try and learn? observability; to be visible to others and spread throughout your org? What’s your plan to make this happen, who’s responsible, and when is it getting done? Hopefully you’ll find yourself and your users enjoying the benefits that genuine spontaneity can bring to your organization. And you won’t have to ask for it, it will “just happen” – and you’ll recognize it when it does and you’ll know why.